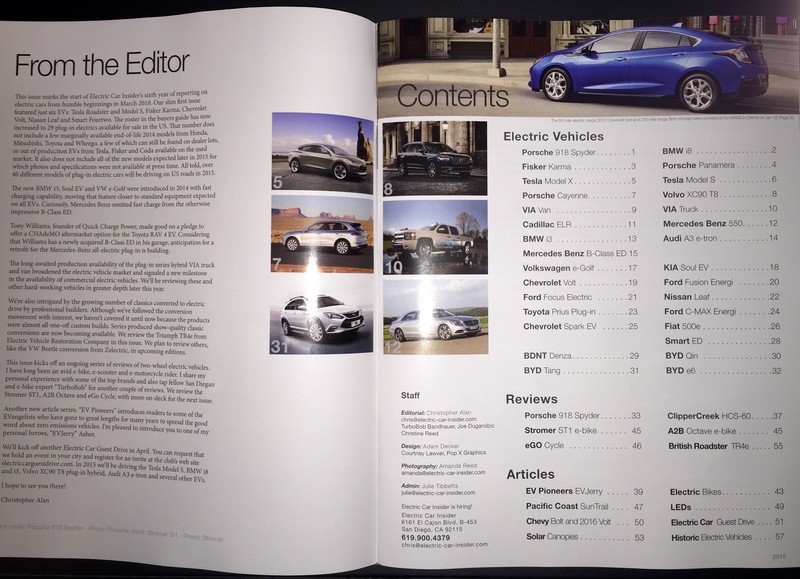 Electric Car Insider, a publication crowd funded to get it into 1000 North American newsstands this year, of which, the first 2015 issue has been available since sometime in February. I ordered a subscription a couple weeks ago, but, I couldn’t wait for the mail, so, I picked up my first issue at my local B&N bookstore last night, (available at other newsstands as well). This issue has an EV Buyer’s Guide, and more issues will be available quarterly. They cover plug-in vehicles, including BEVs and PHEVs (& EREVs), with articles on charging (EVSE) and other related subjects. How often do issues come out? Are they always the Buyers’ Guide format? 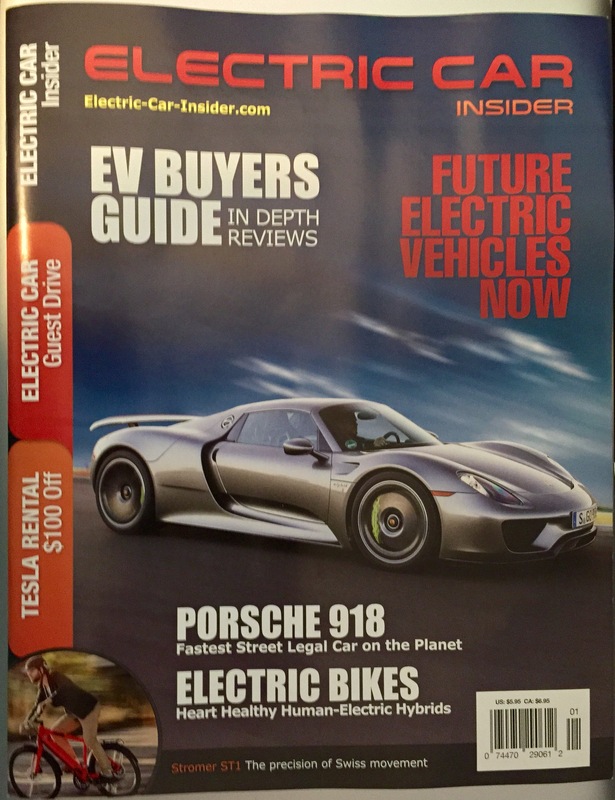 Electric Car Insider We print quarterly. You’ll see more in-between content on the web this year. First quarter is buyers guide, other issues usually more in-depth reviews with buyers guide supplement pages (new mid year releases). Last year we had two buyers guides, one included used still for sale.